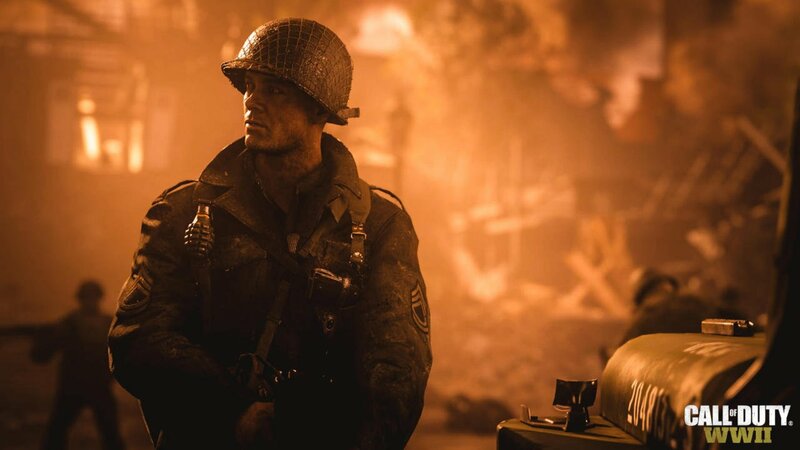 Call of Duty may be returning to its World War II roots, but Activision’s newest entry in the long-running franchise is anything but old. 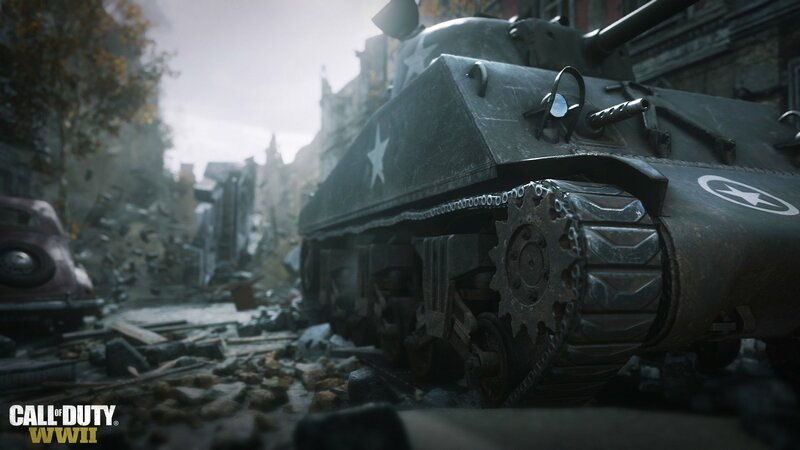 Call of Duty: WWII (which is actually its official name) turns back the clock, eschewing many of the futuristic weapons, exosuits, and robot companions that recent entries have been built around. Instead, developer Sledgehammer Games is aiming to create a more visceral and authentic experience this time around, and it starts with a few notable changes to the series’ core mechanics. First off, no more regenerating health (at least in the single-player campaign). Instead, Sledgehammer is returning back to the tried-and-true ‘health bar.’ Also, in an effort to lend a more realistic tone, the unlimited sprint mechanic from both Black Ops III and Infinite Warfare has been ditched, requiring players to wait a short period of time before they can resume running. These changes might seem small in nature, but they’re important when it comes to reinforcing the idea that the player character is not a superhero, but rather a vulnerable soldier. This extends to the way the game handles non-playable characters. 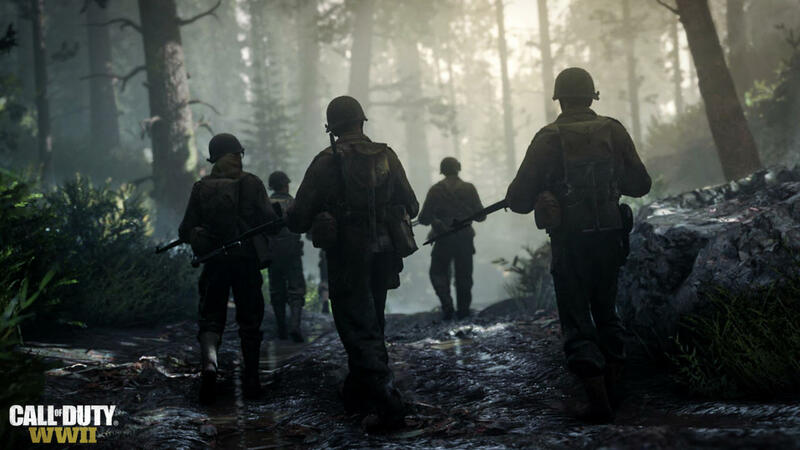 Unlike past titles, in which NPCs were either walking tanks or cannon fodder, Call of Duty: WWII features squad members who will fight alongside you. More importantly, they’re as vulnerable as you are, as they feature their own health bar which does not regenerate. During our hands-on time with the game, we were unable to test if these squadmates can be completely killed off, and more importantly, whether their deaths would have a lasting impact on the game’s narrative. That being said, the renewed emphasis on your fellow soldiers is a welcome addition, and each squadmate has their own special ability that the player can take advantage as the action unfolds across each level. A medic might be able to provide you with more health packs should you need them, while a scouter can highlight enemies for you if you need to lay down suppressive fire when sniping. Admittedly, we only caught a brief glimpse at the game’s single player campaign, but it became very clear (in a short amount of time, mind you) that Sledgehammer is not pulling any punches when it comes to the brutal nature of war. As the demo began, chaos and destruction rained down on screen, with artillery strikes and explosions going off in the distance, shaking the screen and filling the room with booming bass. While we weren’t able to dive into the technical details of how the game will run when played on a high-end PC, or 4K-centric consoles such as the Xbox One X and PlayStation 4 Pro, owners of these platforms will undoubtedly be in for an audiovisual treat, especially when you throw a good pair of headphones or a sound system into the mix. 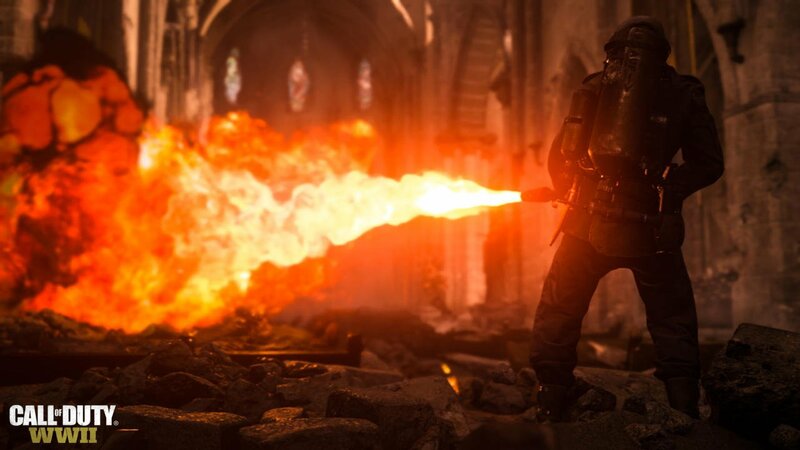 Call of Duty: WWII doesn’t shy away from gore or violence either, and needless to say, it’s definitely not for the squeamish or faint of heart. Heads will burst and be ripped clean off the body with a well-placed headshot, and we even caught glimpses of entire dismembered limbs and torsos as a result from nearby explosions. While the developers have mentioned that the game will focus on the last two years of the war from the perspective of the Allied Powers, they’ve remained tight-lipped on whether or not the game will explore specific atrocities such as concentration camps and the extermination of entire races/ethnicities. While we will have to wait a few more months to see what Sledgehammer decides to explore, their description of the game makes note of the “very dark things” that happened during the war. Lastly, there’s the multiplayer, which will be revealed more over the coming months, thanks in part to an upcoming private beta which is due out later this summer. Still, the basics are all here: killstreaks, diving, and fast-paced high-framerate action. The two most notable changes are the inclusion of classes (referred to as divisions in-game), which follow similar class systems such as assault, heavy, and sniper. The biggest change, however, comes in the form of the new War mode, which features a variety of team-based objectives which play out over multiple rounds. One round might task a team to defend a position while the opposing team attempts to capture it, while another round might involve building a bridge or escorting a tank. 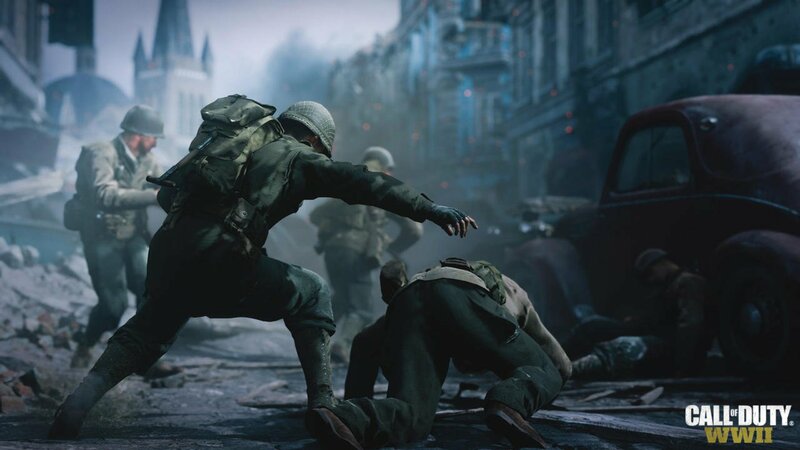 It all feels a little more grounded compared to the last few entries in the series, as Sledgehammer has been touting the return to “boots-on-the-ground” gameplay, which is free from any sort of double-jumping, wall-running shenanigans. There’s plenty that has yet to be revealed (specifically the Nazi Zombies mode, and more background on the game’s campaign), but so far, Call of Duty: WWII has, at the very least, grabbed our attention. While I’m not entirely sold on the return to World War II, I’m hoping that Sledgehammer Games will turn its attention to the untold horrors of war that often go ignored by most other titles.